Militant group furious at snub from Guido Westerwelle during Gaza visit. November 08, 2010 (KATAKAMI / HAARETZ) — The Hamas administration in the Gaza on Monday slammed as “insulting” the refusal by German Foreign Minister Guido Westerwelle to meet it while visiting the strip. Westerwelle is the first German government official to visit the Gaza Strip in nearly four years. On Monday, he visited a girls’ school and toured a water treatment plant. He said he would not meet Hamas over its repeated refusal to renounce violence, honour previous Israeli-Palestinian agreements and accept Israel’s right to resist. 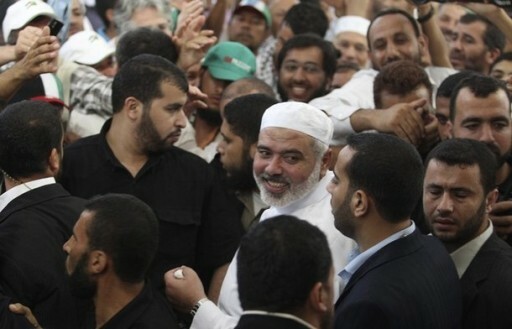 Hamas, which has administered the Gaza Strip since June 2007, is subject to a Western diplomatic boycott. Hamas won the 2006 Palestinian legislative elections, but a unity government set up with President Mahmoud Abbas’ Fatah party was dismissed after Hamas militants routed security officials loyal to Abbas and the Palestinian Authority and seized full control of the enclave. Abbas also dismissed Hamas leader Ismail Haniya from his post of prime minister, a dismissal Hamas did not accept. “We are legal government, and I believe that it is completely wrong to come to Gaza and not meet with the legal government’s representatives,” Shrafi said. Westerwelle also met with Gaza businessmen Monday to discuss economic problems in the enclave, which has been under an Israeli blockade since the summer of 2006. Israel imposed its blockade after militants from the enclave, led by Hamas, launched a raid in which they snatched an Israeli soldier, Gilad Shalit, who is still being held. November 08, 2010 (KATAKAMI / Jpost) — Westerwelle says his country sees speedy return of soldier to his family as humane step; comments come a day after meetings with Noam Schalit, Lieberman, Shimon Peres in J’lem. German Foreign Minister Guido Westerwelle on Monday called on Hamas to free captured IDF soldier Gilad Schalit, during a visit to the Gaza Strip. Westerwelle says his country sees speedy return of soldier to his family as humane step; comments come a day after meetings with Noam Schalit, Lieberman, Peres in J’lem. Westerwelle stressed that Germany views the speedy return of Schalit to his family as the humane step. His comments came a day after a meeting with the soldier’s father, Noam Schalit, as well as President Shimon Peres, Foreign Minister Avigdor Lieberman, and Palestinian chief negotiator Saeb Erekat in Jerusalem. During a press conference after their Sunday meeting, Lieberman said that the biggest threat to the Middle East is Iran. “Not only Iran with its nuclear problem, but Iran through its proxies in its terrorist activity in all our regions. We see Iranian activities through proxies in Lebanon through Hizbullah, in the Palestinian Authority through Hamas, their deep involvement in Iraq, in Yemen, in Somalia and, of course, this threat may be the biggest threat that we are facing as a Western society, as a free society in the modern world,” Lieberman told his German counterpart. The rival parties are scheduled to meet next week to discuss ending their current dispute; news comes after arrests in West Bank, Gaza Strip. October 24, 2010 (KATAKAMI / Jpost) — Hamas announced on Sunday that it has reached an agreement with Fatah to hold a meeting next week to discuss ways of ending their dispute. 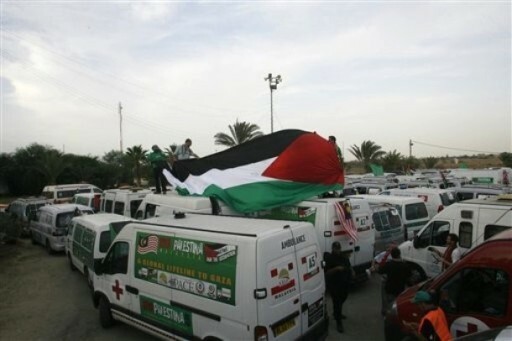 The announcement came as tensions between the two rival parties continued to mount following the arrest of Hamas and Fatah supporters in the West Bank and Gaza Strip. 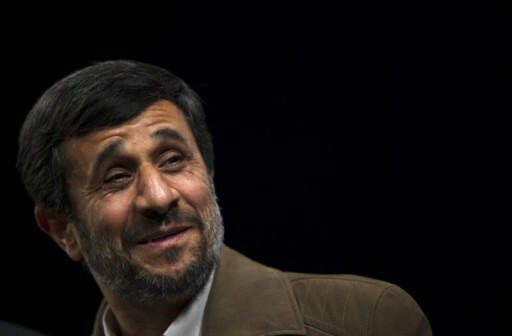 Moreover, the war of words between the two sides continues to escalate despite the talk about a possible reconciliation. 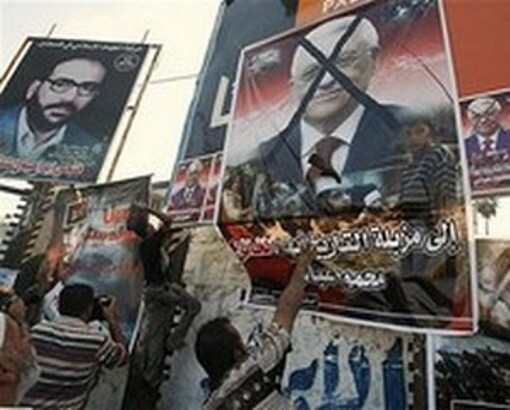 Hamas and Fatah representatives were scheduled to meet in Damascus last week in another bid to end the crisis. However, the meeting was canceled following a heated altercation between Palestinian Authority President Mahmoud Abbas and Syrian President Bashar Assad during the recent Arab summit in Libya. Abbas’s aides accused Assad of “humiliating” the PA president by accusing him of succumbing to Israeli and American pressure to return to the negotiating table with Israel and abandoning the armed struggle option. The two sides have yet to agree on the venue of next week’s meeting. However, Salah Bardaweel, a Hamas legislator and spokesman in the Gaza Strip, said he did not rule out the possibility that the meeting would still be held in the Syrian capital. 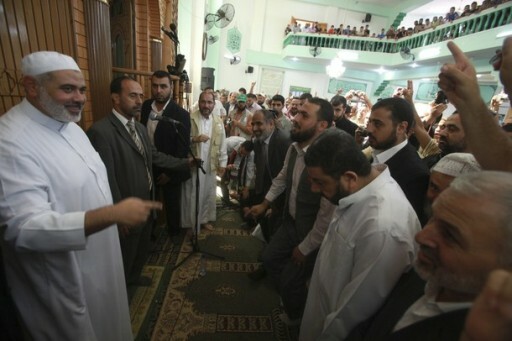 Bardaweel denied claims that the political platforms of Hamas and Fatah were identical. Bardaweel was commenting on remarks made by Osama Qawasmeh, a Fatah spokesman in the West Bank, who claimed over the weekend that Hamas too recognized Israel’s right to exist. Qawasmeh claimed that Hamas was ready to recognize Israel’s existence if a Palestinian state were to be established in the entire West Bank, Gaza Strip and eastern Jerusalem. Azzam Ahmed, head of the Fatah delegation to the talks with Hamas, said that the talks would focus on an Egyptian proposal that was presented to the two parties last year to end the conflict. Ahmed said that Fatah and Hamas have yet to agree on a number of points in the proposal, including holding new elections in the West Bank and Gaza Strip, reconstructing the Palestinian security forces and the release of prisoners held by both sides. 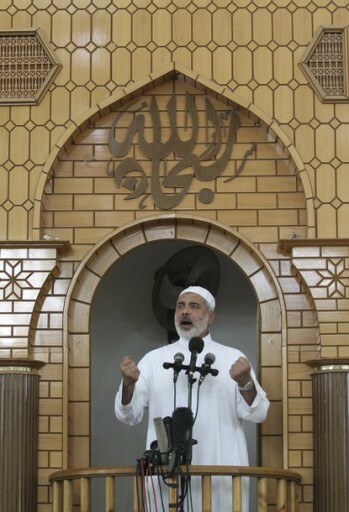 In a related development, Hamas accused Fatah-controlled security forces in the West Bank of arresting “Islamic scholar” Majed Hassan less than two weeks after he was released from Israeli prison. Hassan, a resident of Ramallah, served three years in an Israeli prison and was released on October 7. Since then he had been summoned three times for interrogation by different branches of the Palestinian security forces in the West Bank. On Sunday he was summoned for the third time and arrested in a PA prison in Ramallah. October 21,2 010 (KATAKAMI / HAARETZ) — The Elders hold meetings with Hamas officials, discuss stalled negotiations for Shalit’s release and Middle East peace talks. Former American President Jimmy Carter said Thursday that Hamas was interested in renewing negotiations for a prisoner swap deal in exchange for captive Israel Defense Forces soldier Gilad Shalit. “They let us know… they are very eager to proceed,” Carter told reporters in East Jerusalem several days after meeting Hamas officials in Syria. 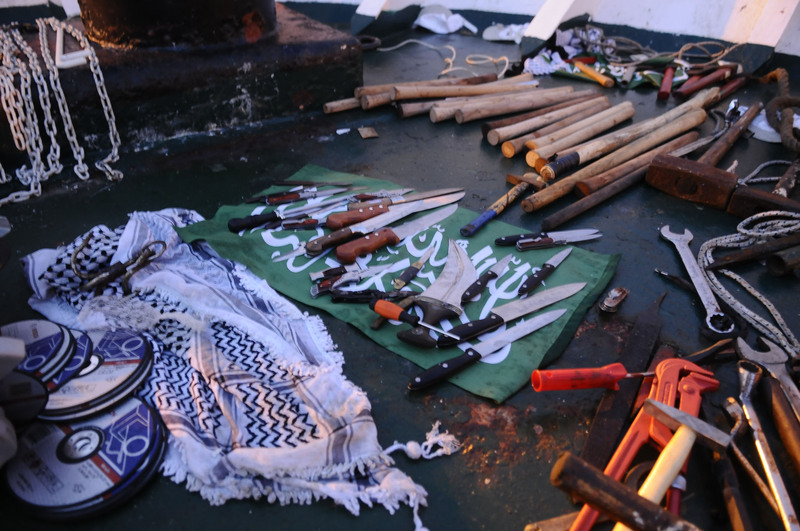 Top Hamas official Musa Abu Marzuq confirmed Saturday reports recently denied by the Hamas party that the German mediator, Gerhard Conrad, visited the coastal enclave two weeks ago in a bid to resume the frozen negotiations. The former president, who arrived in Israel with a delegation of former world leaders, The Elders, held meetings with Hamas officials in Syria, during which they discussed the stalled negotiations fro Shalit’s release and Middle East peace talks. Shalit was kidnapped by Gaza militants in a cross-border raid in 2006 and has been held by Hamas since. Hamas has demanded the release of hundreds of Palestinian prisoners held in Israeli prisons in exchange for Shalit’s freedom. The negotiations have been stuck in recent months following Conrad’s failure to reach a deal. 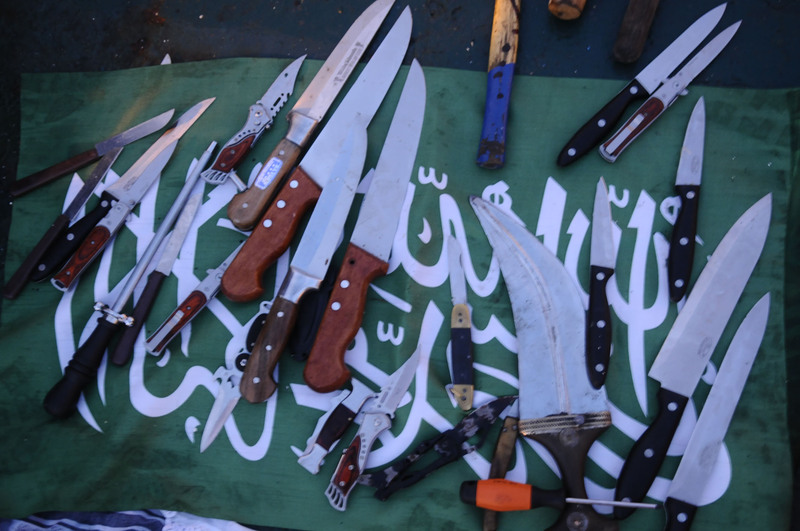 The previous round of talks broke down due to Israel’s rejection of Hamas’s demands. The Elders delegation includes, besides Carter, former Irish president Mary Robinson and former UN envoy Lakhdar Brahimi. 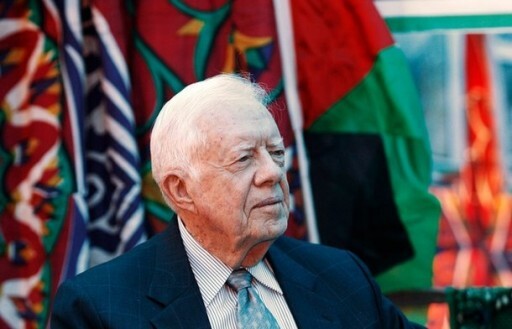 During the Elders’ visit to the East Jerusalem neighborhood of Silwan, carter criticized the Israeli occupation of the West Bank and said that East Jerusalem should be the capitol of a Palestinian state. In the past week the Elders have visited Syria, Ramallah, Gaza, Egypt and Jordan. Carter, however, did not join the Elder’s visit to Gaza on Saturday. During their visit on Syria on Tuesday, Carter called for Israel to lift completely its blockade on the Gaza Strip. 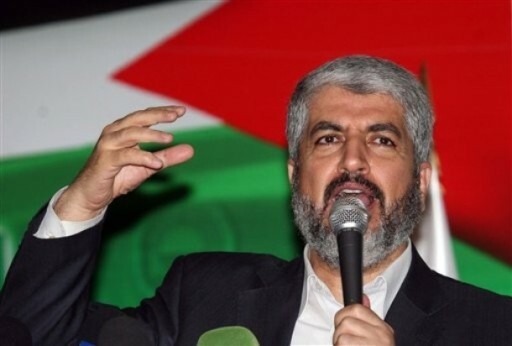 Despite the U.S. and the European Union’s labeling of Hamas as a terrorist organization, The Elders met with exiled Hamas politburo leader Khaled Meshal, as Carter has done during previous regional visits. Following their talks with Assad and Meshal, The Elders said people in the region have “very low expectations” that the current U.S.-led talks between Israel and the Palestinian Authority, which excluded Hamas, would succeed. 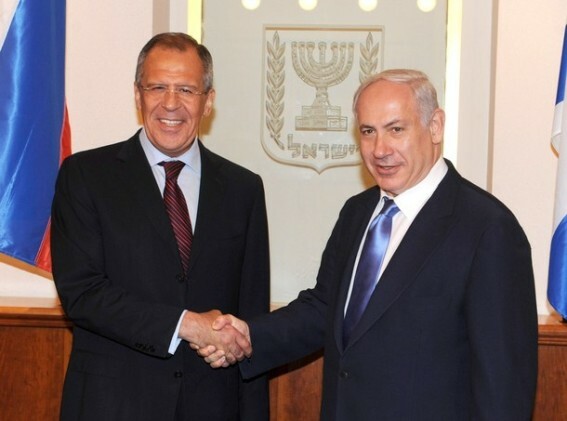 JERUSALEM, ISRAEL – JUNE 27: In this handout image provided by the Israeli Government Press Office (GPO), Israeli PM Benyamin Netanyau (R) meets with Russian Foreign Minister Sergey Lavrov June 27, 2010 in Jerusalem, Israel. (San Francisco Sentinel.Com) Prime Minister Benjamin Netanyahu on Tuesday asked Russia to exert influence on Hamas to bring about the immediate release of captured Israel Defense Forces soldier Gilad Shalit. In talks with Russian Foreign Minister Sergei Lavrov, Netanyahu asked Moscow to take advantage of its relations with the Islamist group to push for a prisoner swap deal that would free Shalit after four years in captivity. The family of the abducted soldier, seized by Palestinian militants in a 2006 cross-border raid from the Gaza Strip, arrived in the Haifa area on Tuesday with some 3,000 supporters on the third day of a protest march to the prime minister’s residence in Jerusalem. Marchers aim to reach Jerusalem on Friday after setting out on Sunday from the Shalit family home in the Galilee town of Mitzpeh Hila. Shalit’s parents, Noam and Aviva, said last week that they would remain in a protest tent outside Netanyahu’s residence until their son was released and could go home with them. Also on Tuesday, Foreign Minister Avigdor Lieberman said following his meeting with Lavrov that there was “absolutely no chance of reaching a Palestinian state before the year 2012″. Lieberman reportedly told Lavrov, who arrived in Israel on an official visit, that Israel opposed Russia’s recent advances toward Hamas. Lavrov responded that it was impossible to ignore the Islamist organization’s popularity amongst Palestinians, particularly in Gaza. The reported closed-door disagreement quickly became a public one, as the Russian minister openly defended his country’s Middle East policy. Lieberman, in turn, dismissed the disagreement, saying that the fact that the two nations were conducting dialogue in the matter was no secret. Netanyahu asked Lavrov to use Russia’s ties with the terror organization to help free captive soldier Gilad Schalit. Lavrov had met with Foreign Minister Avigdor Leiberman earlier Tuesday, who criticized the Russian FM for his country’s continued ties to Hamas. 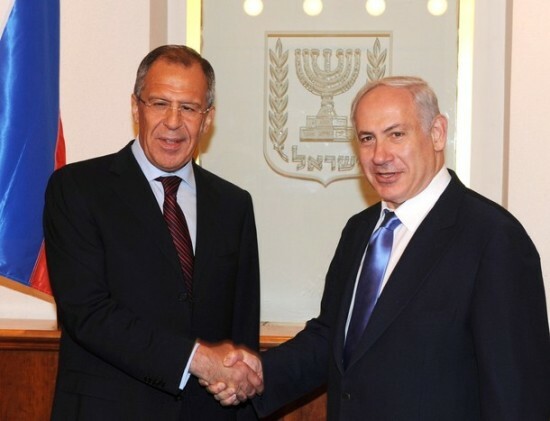 Lavrov plans to continue to Ramallah and Cairo on his trip to the Middle East. The latest appeal from Netanyahu comes on the third day of the continuing “Freedom March” in solidarity with Schalit. The soldier’s mother, Aviva Schalit, said that the Israeli government had failed a number of times in negotiating her son’s release.